Product prices and availability are accurate as of 2019-04-12 04:07:35 EDT and are subject to change. Any price and availability information displayed on http://www.amazon.com/ at the time of purchase will apply to the purchase of this product. Easy design for tying cables. Locks and opens by twisting the clips with fingers. Open the tie and set cables in. Twist the clips of the tie for locking. Do not use power codes while bundled by this product,otherwise heat might be generated. If the bundled cables are too thick,the lock of the tie may come off. Please check the size when you use it. 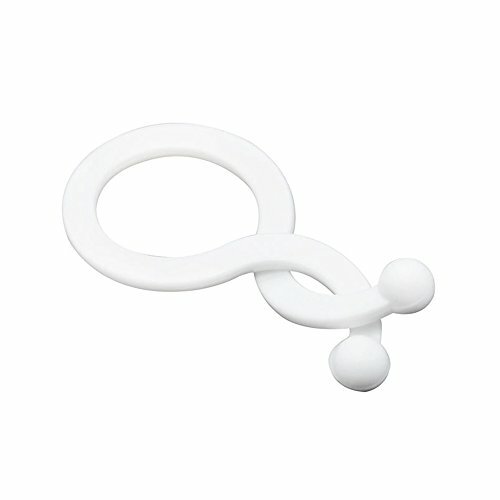 This product is detachable ties,for the lock may come off by applying excess force to it. Please do not use this product other than the original purpose. 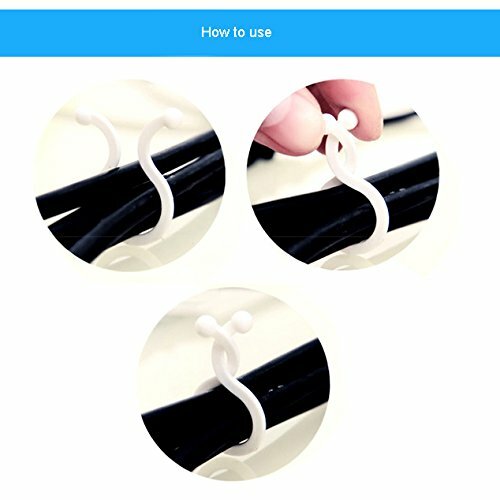 Package includes: 20 pack large twist Ties(diameter:18mm),30 pack small twist Ties(diameter:11mm) Easy design for tying cables,Twist the clips of the tie for locking Often Used for Organizing Electrical Wires & Cords, Securing Loose Objects, Cable Management, and Other DIY Projects! Reusable, bendable ties can be used as cable ties, cord organizers, shoring up plant and flower stems If you're tired of constantly trying to untangle your headphones line, charging wires, and electrical cords. The Twist Ties can help you. These handy rubber twist ties are perfect for keeping your drawers, desk and household items tidy and organized. The perfect all-around organizer for home, office, garage, bags, car, travel, camping, sports accessories, boat gadgets and Much More! No need to fuss with tangled cords any longer!